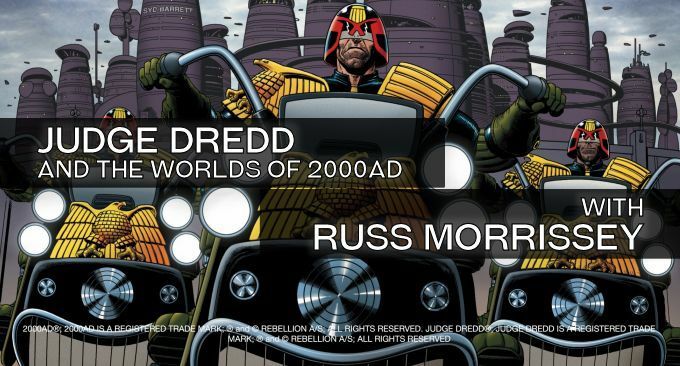 Judge Dredd and the Worlds of 2000AD | What Would The Smart Party Do? With the full support of Rebellion Comics, the art and production are in place, an already written and proofed game, the Smart Posse are super excited about this trip to the golden age of British comics. Russ also has a podcast with lots of RPG news, check out Morrus’ Unoffical Tabletop RPG Talk or of course head over the EN World website for all the latest RPG news if you prefer to read about it. Buy the guys some Hobnobs by becoming a Patreon supporter, extra content is going on up on the Patreon site including a fanzine, scenario from Baz – and another from Gaz currently going through production!